Don't wait! Call Certified Pest Control NOW! We service all of the Lake Erie Islands, Sandusky & Port Clinton areas. Get ready now for vacation season with a program for spider and pest removal! 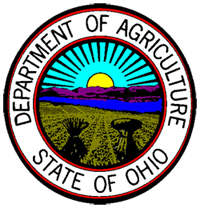 Over 10 years for expert pest control service in the Sandusky and Port Clinton areas! 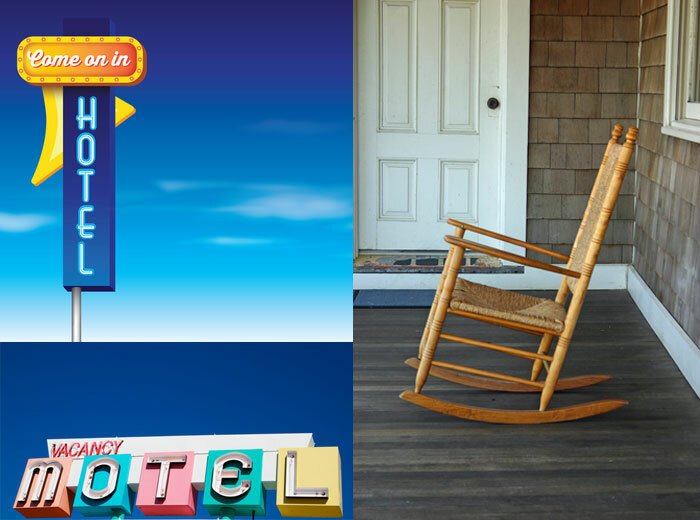 We specialize in vacation rentals, motels and hotels too! Certified Pest Control is pleased to welcome Spider Ray's into the Certified Pest Control family of companies! Spider Ray's customers will enjoy even greater resources for handling pest control problems with the same great service. Get ready for the warm weather and vacation season with our treatment to kill spiders. We kill bed bugs with heat. Safe and effective with no chemicals to worry about! Keep your guests happy & complaints about pests down with our pest control solutions. 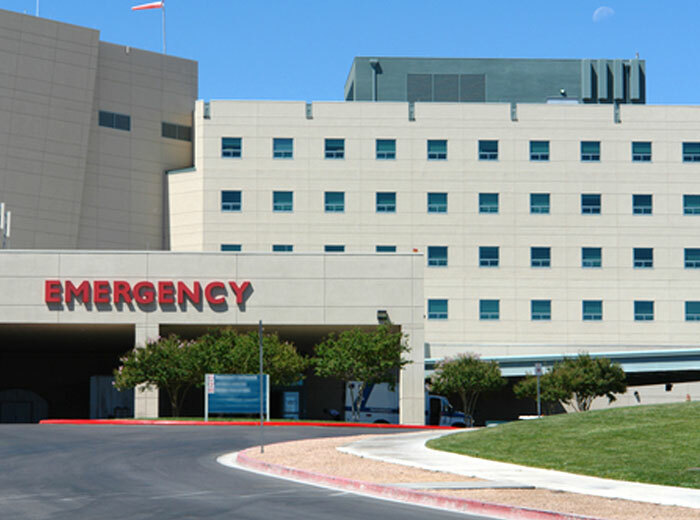 We serve hospitals, commercial businesses, industrial and food service with out expert pest control treatment plans. 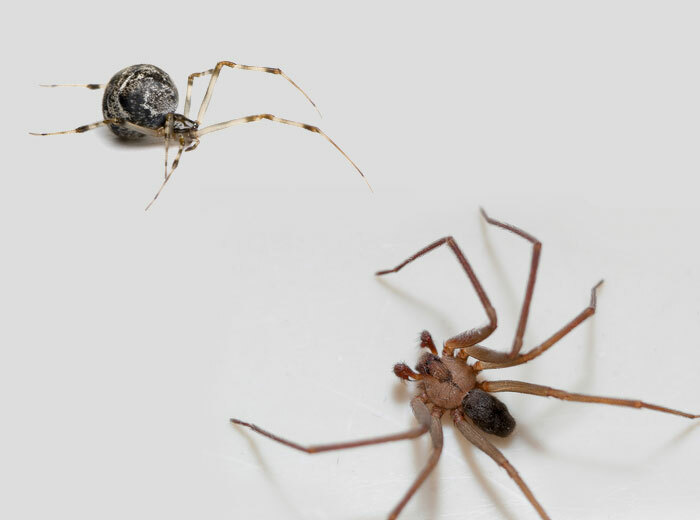 From the common house spider to the Brown Recluse spider, we get rid of them all. Spiders do help to get rid of many pests but when we get rid of other common pests there is no need to keep the spiders around either! We kill Bed Bugs with heat. No chemicals! This is a fast proven method that gets rid of bed bugs usuallly in 1 day. 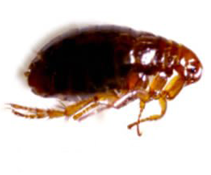 We can spot treat or treat an entire sturcture for the most economical bed bug control possible. We treat all homes including mobile homes and trailers, vacation cottages, motels, hotels and any vacation rental property. Call (419) 202-5425 Now to schedule an appointment to keep everyone visiting your establishment happy! Our extensive commercial pest control is used by: Hospitals, hotels, nursing homes, warehouses, restaurants, malls, retail stores, supermarkets, schools, factories & office buildings. We provide complete pest maintenance services for year round protection. We offer responsible, safe pest control programs. 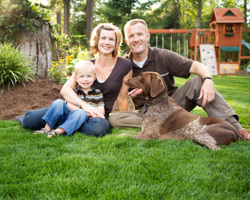 Your family, pets and the environment are our main concerns when ridding your home of pests. Certified Pest Control's commericial and industrial services are designed to protect and maintain the business owners investment. Get rid of bed bugs in as little as 1 day! Bed bugs are elusive, nocturnal creatures and come out at night to feed exclusively on blood, your blood. Bed bugs are very resilient and may live up to 12 months without eating a meal of blood. Bed bugs are not caused by poor sanitation or your social status. Bed bugs are not limited to the bed or the bedroom but can move and live throughout a dwelling. They will crawl considerable distances to obtain a blood meal. Bed bugs like to hide in small cracks and crevices close to where humans rest & sleep. They can be found behind baseboards, upholstery, and in furniture crevices. Other places to check are wall hangings such as picture frames, night stands, stuffed furniture, floorboard cracks, behind loose wallpaper, light switches, door and window frames, conduits, etc. 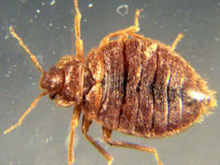 In heavy infestations, bed bugs may be found in wall voids, attics, and other enclosed places. Bed bugs can be introduced into a structure via furniture or in the belongings of someone who has been living in a bed bug infested situation. Bed bugs like to travel and will hide in suitcases, boxes and shoes to be near a food supply. We use specially trained bed bug detection K-9's to find bed bugs. Dogs have been shown to be 98% more effective in the detection of the elusive bed bugs and their eggs. Our K9 bed bug detectives serve as a preventative measure against bed bug infestations by performing monthly and quarterly bed bug inspections in your home, office or commercial location. Heat is an effective way to control bed bug infestations. All insects have optimum living temperatures for growth, survival and reproduction. All insects also have lethal temperature limits, at which all stages of the life cycle are killed. By targeting temperatures in the lethal range, the bed bug population can be eliminated. Treatment time is an important factor for effectiveness in treating bed bug infestations with heat. Treatment time varies based on factors such as clutter, structure, layout of the space, severity of the infestation and airflow management. Heat kills by dehydrating or drying the insects out. The high heat/low humidity atmosphere causes insects to die due to lack of moisture. The lower the humidity of the heated space, the quicker the insects will die. 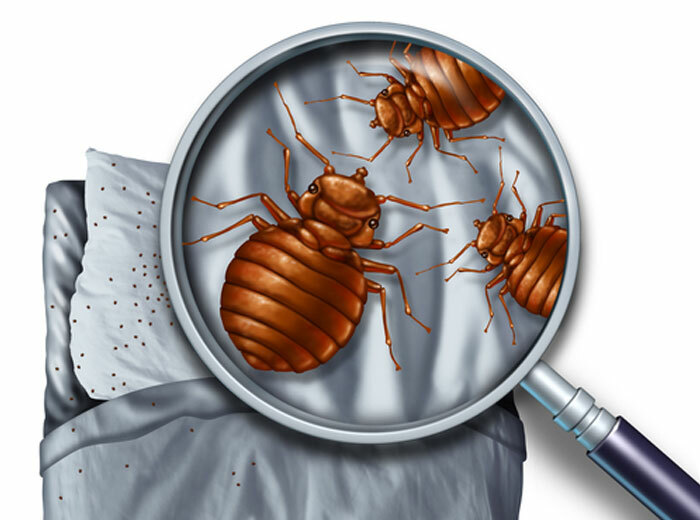 Thorough inspections are a vital step in the bed bug elimination process. This includes not only the infested room, but adjoining rooms as well, as bed bugs are excellent travelers. This allows Certified Pest Control to pinpoint exactly where there are areas of insect activity and to target heat directly to those areas. Prior to heat treatment, customers receive Bed Bug Heat Treatment Instructions which provides all the necessary pre-treatment and post-treatment information needed to make the heat treatment a success. The preparation instructions will provide you with a list of items that can and cannot remain in the treatment area. Our goal is to eliminate the bed bug and its eggs. The goal is more likely to be reached if preparation instructions are followed as specified. Depending on the size of your structure, customers will need to vacate their premises for a period of approximately 8-10 hours... possibly longer. It will take several hours to bring the structure up to the appropriate temperature, hold the temperature for the correct length of time, and then slowly bring the temperature of the structure back down to a safe level for customer re-entry. 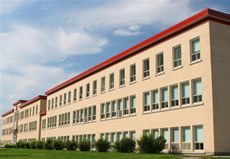 For heat treatment to be effective, it is important that all parts of the area being treated reach lethal temperatures. Certified Pest Control will prepare a heating plan which will consider the layout of the area and its contents so that the heat treatment equipment can be placed optimally to ensure the appropriate temperature is reached. 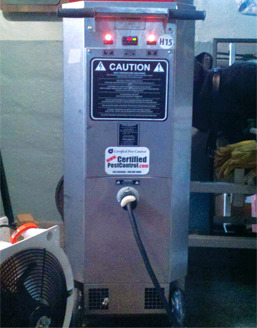 We don't just plug in a blast furnace in your home or office to kill bed bugs! Our heating system employs a monitoring system in several areas of your structure. Each sensor monitors heat in its specific area and sends that information to the computer. The Data Display shows temperatures recorded in real-time at each sensor. Temperature readings at each sensor are printed every 30 minutes. By regularly monitoring the sensor readings, equipment can be adjusted to eliminate hot and cold spots to ensure bed bug elimination. Typically, customers may return to the treatment area on the same day. Temperatures will likely still be elevated when you return and additional items may have been moved to help evenly distribute the heat. Customers will receive complete post-treatment instructions prior to the start of service. We can eliminate bed bugs with heat instead of harmful chemicals. With the use of heat, bed bugs can be eliminated in a short period of time without the use of chemicals. Our procedure to get rid of bed bugs is a safe and effective treatment for home and business or anywhere bed bugs are present. The most common ants we find in our area are carpenter ants and pavement ants. Carpenter ants are large, about a quarter of an inch to 1 inch in size. These ants are found in many parts of the world including the USA. They like dead or, damp wood to build nests. They do not eat the wood they live in unlike termites. Most likely if you have an ant infestation in your house it is the black carpenter ant. However, there are over a thousand other species of ants. Carpenter ants are capable of damaging the wood used in homes and buildings. They can leave behind a material like sawdust that gives clues to where their nest is. Carpenter ant homes are smooth and not at all like termite-damaged areas, which have mud forced into the hollow areas of their nests. 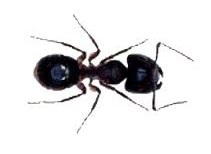 The pavement ant, is a common household pest. The name "pavement ant" comes from the fact that they usually make their homes in some sort of concrete, black top or asphalt pavement. It has distinguishing marks including one pair of spines on it's back, and grooves on the head and thorax . 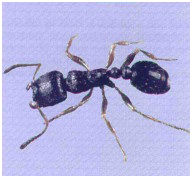 This ant was originally found in Europe, but was introduced to North America in the 1700s. Extremely beneficial to man, these bees can also deliver a life threatening sting to those who are alergic to their venom. Even "dead" honey bees can deliver a sting to an unsuspecting victim. A honey bee that has recently died can still have a stinging reflex which can still give you a bee sting! 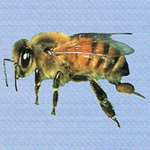 The common eastern carpenter bee, is the most common carpenter bee encountered in the eastern United States. 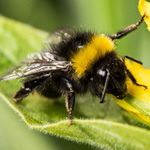 They are often mistaken for a large bumblebee, as they are similar in color and size. They can be important for pollination, especially for open-faced flowers, although they are known to "steal" nectar by boring holes in the sides of flowers. 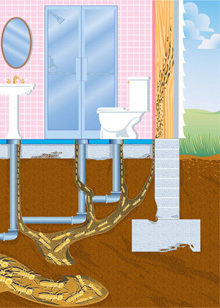 Sometimes they bore holes in homes with wood exteriors and can become minor pests. They use their chewed wood to form partitions between the cells of their nest. Certified Pest Control can control these pests and the damage they inflict on your home. Bumble Bee is a commonly used name for any of group of large, hairy, usually black & yellow, bees. These bees are usually found in temperate areas of the northern hemisphere. Many times they are present in temperate climates and often farther north and in higher altitudes than other bees. There are 50 species of bumble bees known to be in North America. Yellowjackets are wasps not bees. 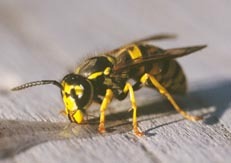 They are capable of both stings and bites but most commonly use their stingers to inflict their pain on people. The Yellow Jacket gets the nick name "Meat Bee" from the fact that they feed their young meat. They often scavage the meat from a dead animal. Yellow Jackets will take "meat" from other insects as well as feast on our Barbecues! There are many varieties of wasps. They are typically 1/2" to 1 1/2" in length and are reddish brown in color. Their colonies start in the spring with a single queen. Certified Pest Control can rid your property of wasp nests and the wasp to keep your family safe. Do ultrasonic flea treatments work? Don't fall for these mis-leading advertisements. The ultrasonic flea collars and flea treatments do not work! Did you know that not only can fleas be annoying but they can also carry serious diseases! Fleas have been know to transmit Bubonic Plagues from rodents to humans causing serious illness and even death. The most common household flea is the cat flea. Fleas are parasites and feed off of the blood of animals... including you and me. The irritation caused by a flea "bite" is actually caused by the salivia from the flea. Many people have little to no reaction to it but some have more severe reactions including bumps and itching. Walking across the carpet in a room where fleas have laid eggs will stimulate them to emerge from their pupa stage and attack. Fleas can remain frozen for a year and survive and also go months without eating... until you wake them up! 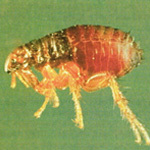 Fleas live not only on your pets but in your carpet, furniture and maybe even on you! There are several treatments for fleas. Not all flea treatments work in all circumstances. While tempting to try this type of flea treatment, it produces tiny droplets from the aerosol spray it emits which can kill lots of fleas on the surface of your furniture and carpets but may not get down into the base of your carpets or crevices in flooring and counters. Call Certified Pest Control NOW to learn how we can eliminate your flea problems! We offer responsible, safe pest control programs. 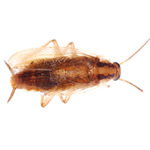 Your family, pets and the environment are our main concerns when ridding your home of roaches and other pests. Ultrasonic Frequency Cockroach repellers: Do they work? Independant studies have concluded that ultrasonic insect repellant devices do not work. Don't waste your money on them. 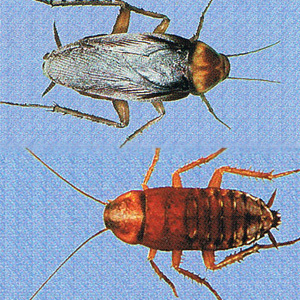 No scientific evidence has been produced that these utrasonic frequency devices either repel or control cockroaches or other insects. Although a tall order the better you control these 3 things the greater chance you have to control those nasty cockroaches. I just saw a mouse! or was it a rat? A mouse measures between just under 5 inches to about 8 inches in length, including their tail. They weigh around 1/2 oz. to just over an ounce. They come in white, brown & grey in color. Their noses or snouts are triangular shaped and have long whiskers. 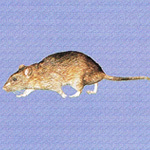 Mice have rather large, floppy ears & long, thin, hairy tails. 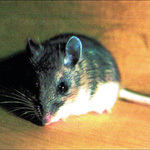 Mice are nocturnal and prefer to forage for food and come out at night time in the dark. They are timid, social & territorial in nature. Rats are medium to large sized rodents with long tails that are usually hairless and scaly. They are also nocturnal preferring to stay out of the light. Rats may grow to over 15 inches weigh quite a bit more than a mouse. Their fur is white, gray, brown or black and they are often filthy enough to leave "grease" marks on anything they touch. The snout or nose of the rat is more blunt than the nose on a mouse. Call Certified Pest Control NOW at (419) 202-5425 to learn about our rodent control solutions! 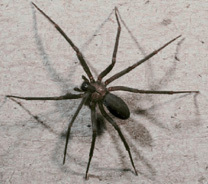 A dangerous and poisonous spider found in our area is the Brown Recluse spider. It commonly has a violin or fiddle pattern on it's "back". Typically found in areas that are not disturbed often, these venomous spiders are a very real threat to us. 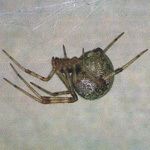 A bite from the brown recluse may not be felt immediately but will result in damage to the tissue around the are of the bite. Immediate medical attention is needed after receiving a bite from this spider. The most common spider found in our area is the house spider. It also goes by the name of American House or Domestic Spider. It is most often found indoors as the name implies. It is not poisonous but just a nuisance to humans. It is pictured here in it's normal position hanging upside down in a web. We offer termite inspections for realtors and howeowners. Our termite treatments are safe and effective! There are over 2,700 known species of termites throughout the world. In the U.S., subterranean termites, including Eastern, Western, desert and Formosans, are a concern in every state except Alaska. 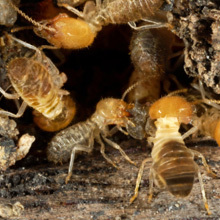 Subterranean termites, which build underground nests, can be extremely destructive. They can tunnel to wooden structures (like your home), which damage by using it as a food source. Termites all share a virtually insatiable appetite for wood and other cellulose-containing materials. Given enough time, they can cause extensive damage and will feed on the wood until nothing is left but a shell. We are professionals at identifying termites. Termite identification is often a very difficult task. Termites are not always in easy to find or see locations. That is why you can count on the qualified expert pest control technicians at Certified Pest Control. We use the Termidor termite treatment system. When termites eat Termidor treated material, they will die. But Termidor doesn't stop there. It kills termites by contact as well. And since termites can't detect its presence, termites directly ingest and contact Termidor as they go about their normal routines. Whenever a termite touches Termidor, it can become a "carrier," transferring Termidor to other termites it contacts. Secondary carriers continue transferring Termidor to other termites they contact, spreading it like a virus throughout the colony. This unique "Transfer Effect™" is one of the reasons no other termite treatment can control termites like Termidor. Providing expert pest control services for residential, commercial and vacation property for over 10 years.